ConstructionOnline Scheduling is designed to solve the challenge of quickly creating, sharing and editing your ever-changing project schedules. Blaze through your projects with the world's fastest online scheduling. ConstructionOnline™ Scheduling brings the power and simplicity of advanced critical-path project scheduling tools to the web, allowing seamless access and updates from the field or job site. The world's fastest online construction scheduling. Let's face it, your time is valuable and delays and sluggish performance from your project management software are aggravating or even deal-breaking for everyone on your project team. With other online scheduling tools you have to sacrifice speed and performance, but not with ConstructionOnline™ Scheduling. 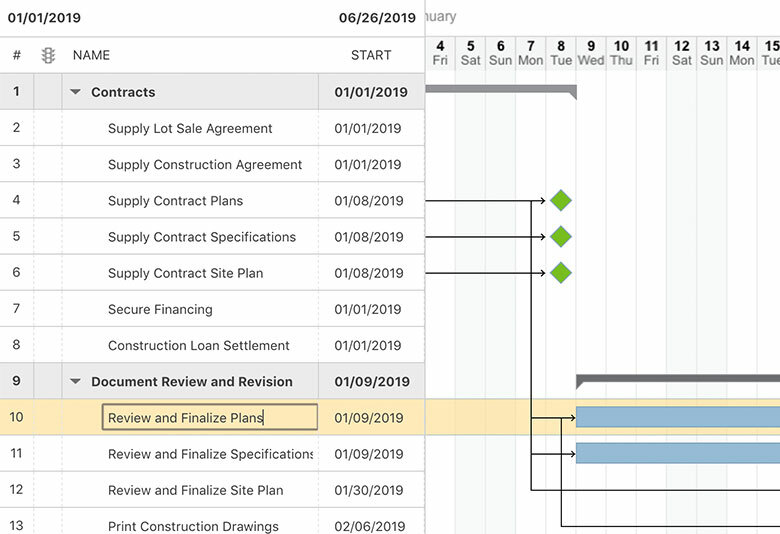 Performance is paramount and ConstructionOnline™ Scheduling was built from the ground up with speed in mind, plus the latest technologies to harness powerful client-side operations and inline data entry to offer the world's fastest critical-path gantt scheduling tools. No more waiting or delays. Did we mention that it's fast? 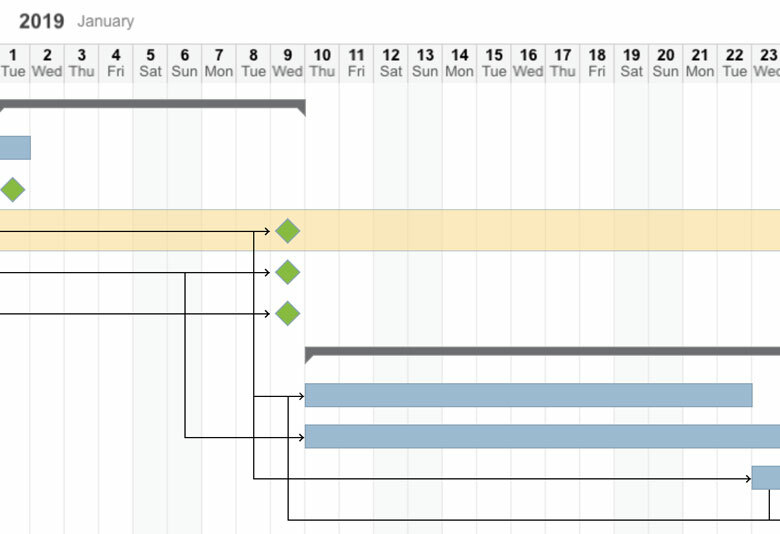 The Gantt Chart style of ConstructionOnline Scheduling keeps your schedule organized and easy to read. Not only is it clearly understandable, but it is also extremely easy to use. Edit start and end dates with a single drag of the mouse. Organize tasks into groups and unlimited levels of sub-groups to add further structure and definition. Highlight the critical path to identify the key tasks that need to be completed. For an additional level of organization, attach predecessors to assure that your assignments get completed in the most efficient order. With the convenient toolbar, you can insert tasks, groups, and milestones with just a click of the mouse. You also have the ability to convert tasks into groups as well as move them up and down in your schedule. Editing your tasks has never been easier! You can easily use the dockable toolbar to edit and delete tasks or simply click on the task to change its information. To extend or reduce time frames, simply drag the left or right side of the task bar to the desired day and it instantly changes its start or end date. With the option to set custom workdays and work weeks, add holidays, create copies and templates with the option to save or clear out durations, predecessors and percentage complete, and the ability to shift schedules forward or backward by a number of days, weeks, or to a specific start date, ConstructionOnline Scheduling is a veritable powerhouse of construction schedulers. Track and manage your project team with ease using Resource Assignments and Reminders. 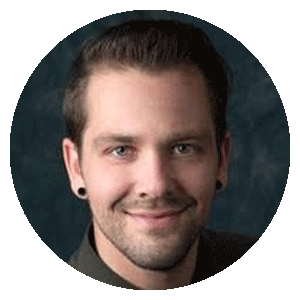 By creating a direct link between your sub-contractors, suppliers, projects, and schedules, Resources enable you to assign subs to scheduled tasks and automatically send email reminders. 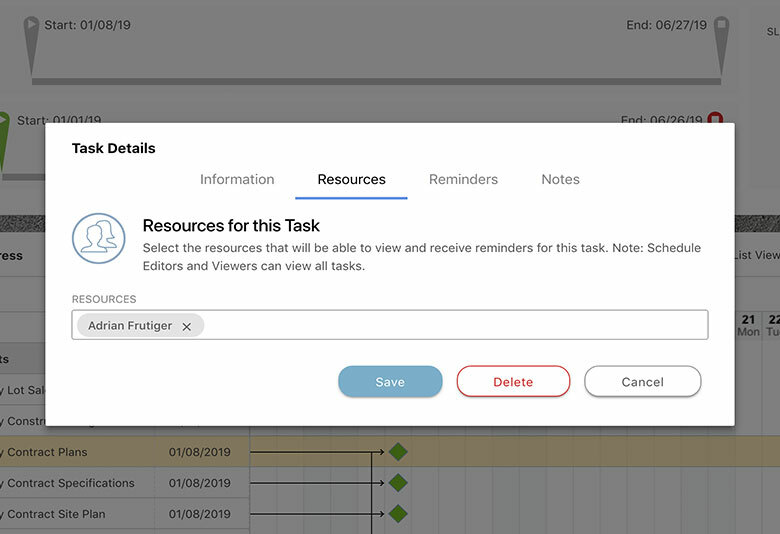 Reminders provide extensive flexibility to schedule and send Planning, Start, and Custom Reminder emails to all of the resources assigned to a specific task in the schedule. And when schedules change, as they often do, those reminders will stay tied to the new revised start date and send accordingly, keeping your entire project team on plan and on task. ConstructionOnline™ has allowed our project managers direct control over scheduling which has had a huge and positive impact on the production department. ConstructionOnline Scheduling brings the speed and power of advanced critical-path project scheduling to the web, allowing for seamless access from the field. Personalized GamePlan™ task lists ensure everyone knows what to do and when to do it, so you can make sure your team gets the right info at the right time. Plan for success by creating project baselines in ConstructionOnline. Stay informed of any changes impacting your start to finish dates or project costs. 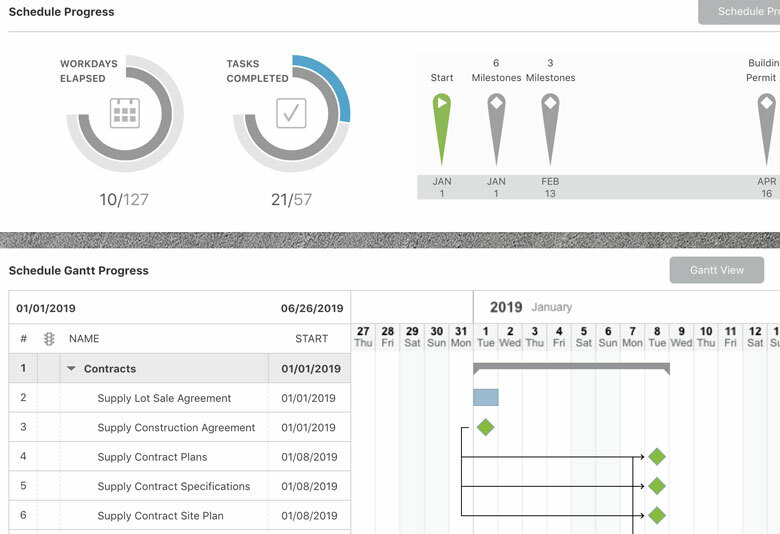 ConstructionOnline leverages its robust feature set to create an online calendar that combines all of your important milestones and due dates into one location. Construction Project Management Scheduling and Calendars for Pros Like You.